What’s next? 2XQRP, WAS/SKCC, and on and on. Much more fun to be had! Congratulations! I enjoyed watching you blaze your trail to ‘S’ and hope to follow in your footsteps or dits and dahs. What’s next – well try PFX – see if you can do x10 – that will keep you busy for awhile. But for now, sit back, pat yourself on the back and smile and enjoy your well deserved accomplishment. Bill, a great story, and a wonderful Ride. I’m also getting closer to that Toga, I know what it means and how much effort it took for you to get Tx8. It seemed the closer I got to it, even further away it was. Senator is just the beginning though, so don’t rest on your laurels, WAS, 1xQRP and 2xQRP, WAC, the list goes on and hopefully so will you, Congratulations my friend. I’M SITTING HERE SMILING AFTER READING YOUR WONDERFUL WRITTEN ACCOUNT OF YOUR REINTRODUCTION TO THE WORLD OF NUTS AND BOLTS HAM RADIO. BASIC EQUIPMENT AND A MANUAL KEYING DEVICE AND A GROUP OF LIKE MINDED AMATEURS HAS PROVEN TO BE A SATISFYING AND FUN ADVENTURE. IT WAS DURING THIS QUEST THAT I MET THE FELLOW FROM BIRMINGHAM WHO HAD SUCH A NICE AND EASY TO LISTEN TO FIST WHO WAS PRETTY MUCH LIMITED TO FORTY METERS. I HAVE HAD THE PLEASURE OF WORKING BILL MANY TIMES AS HE PROGRESSED FROM NEOPHYTE TO CENTURION TO TRIBUNE AND ON THE WAY TO SENATOR. I WOULD FIND MYSELF LOOKING AT THE SKED PAGE IN THE EVENINGS TO SEE IF BILL WAS ON OR LOOK AT THE RBN PAGE AND ALMOST WITHOUT FAIL THERE WAS HIS CALL. I WOULD OFTEN JUST SIT AND LISTEN TO HIM MAKING ONE CONTACT AFTER ANOTHER ALWAYS WITH THAT GOOD SOUNDING FIST AND ALWAYS WITH A GENUINE CORDIAL ATTITUDE AND NOT SO MUCH OF THE HASTE AND STRESS OF A WEEKEND CW CONTEST. I’M HAPPY TO SAY THAT DURING BILL’S TREK TO THE GOAL OF SENATOR WE HAVE BECOME GOOD FRIENDS. THATS ONE OF THE THINGS I LIKE ABOUT THE SKCC GANG, THAT SEEMS TO HAPPEN A LOT. I’M LIKE BILL AND MANY OTHER SKCC MEMBERS IN THAT I HAVE REALLY GAINED A LARGE CIRCLE OF PEOPLE I CAN HONESTLY CALL FRIEND. BILL, AS MANY HAVE SAID THERE ARE PLENTY OF THINGS WITHIN SKCC TO CHALLENGE YOU. THERE ARE PREFIX AWARDS AND BAND AWARDS AND QRP AWARDS AND RAG CHEW AWARDS. THEN THERE IS THE NEWLY ADMITTED MILES PER WATT AWARD. BUT MOST OF ALL THERE IS THAT UNWRITTEN AWARD THAT WE ALL WIN BY SIMPLY ENCOUNTERING OUR FELLOW HAMS USING THE OLD TIME CW MODE AND WITH MECHANICALLY FORMED CHARACTERS. IT IS OFTEN AFTER THOSE ENCOUNTERS WE ARE LEFT WITH AN AWARD THAT YOU CANNOT PRINT OUT AND THAT OF COURSE IS A NEW FRIEND. BILL CONGRATULATIONS ON YOUR ELEVATION TO THE RANK OF SENATOR, I’M SURE YOU WILL WEAR YOUR ROBES WELL! RANDY KC9W SKCC-5277S QRP IN TN. Excellent work Bill! Your writing and story skills are outstanding. 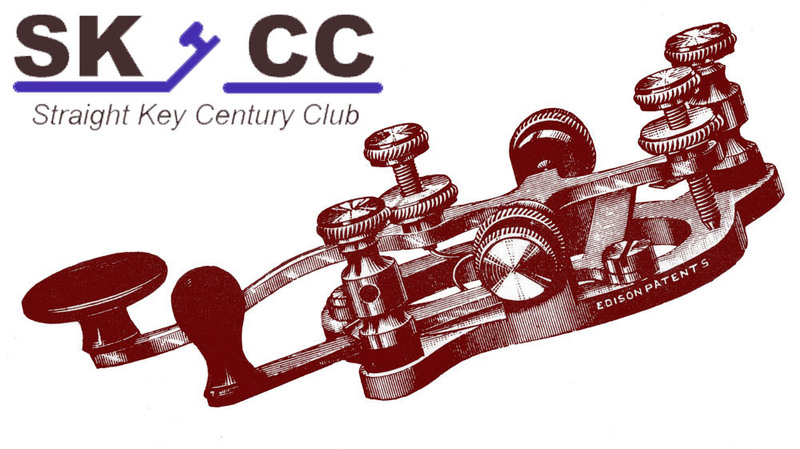 I look forward to another QSO soon for maybe QRPx2 or another SKCC operating award. Fantastic chronicle of your SKCC quest. It renews interest in getting my S for sure. Thanks for the kick in the can! 73 . .
Bill, this was an excellent job you did on this article & it was my pleasure to help you achieve your goal of the Senator award. I do most of my SKCC work in the WES & the Two Hour monthly sprints so I am glad you caught me by chance, I am still working on my S award but have a ways to go yet. Also, my special thanks for your link to CW Clubs Reverse Beacon Network – it’s VERY helpful! What an eloquent and heartfelt description of your exciting rise to Senator, Bill. You continue to inspire me to achieve that elusive S, both through this public account of your efforts and via personal encouragement — both on the air and in emails. Very well done, my friend! 73 de Chip W9EBE SKCC #3511T . .